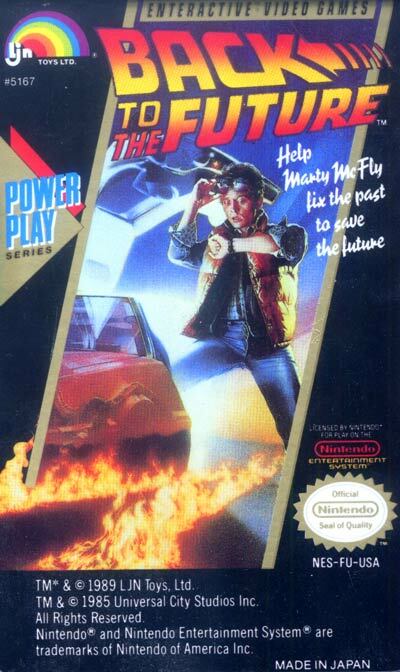 In the single mode game, the player controls Marty McFly through various stages set in 1955 in which he collects various clock icons in order to advance to the next level, and avoid the gradual vanishing of his future (indicated by a fading photograph at the bottom of the screen.) There are also minigames at the end of each stage, featuring such scenarios as Marty repelling Biff Tannen's gang of bullies from a cafe. The gameplay on these stages is often compared to that of Paperboy.